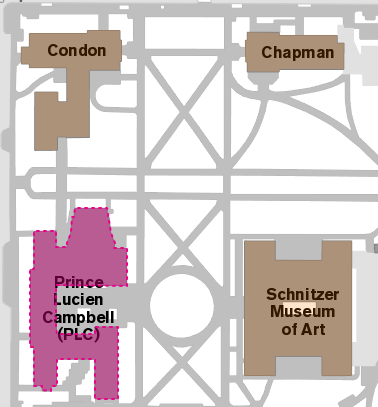 Due to renovations access will be closed to 1715 Franklin Rooms 173-175, 177 and H175 during construction. Preferred Construction will perform this work. Expect noise and congestion around the construction area. 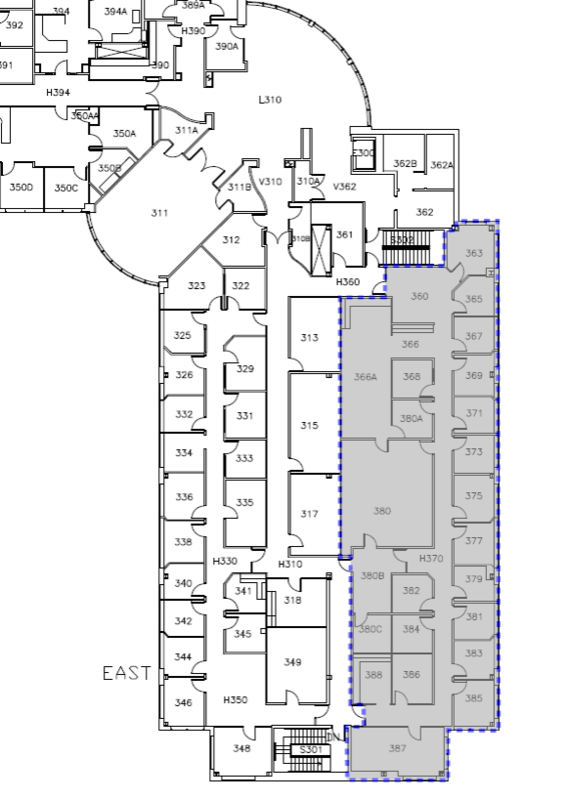 Occupants that need to access rooms 174, 176, and 179 – 199 will need to access through V183 (see below drawing). CPFM Facilities Services will be performing a small renovation in Johnson Hall 206 between 12/7/2018 and 1/7/2019. 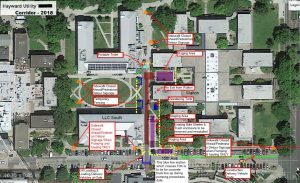 The project scope includes moving lighting, altering HVAC and steam systems, building a new wall to split room 206 into two offices, and adding a new door. There will be intermittent construction noise and the use of low VOC paint products. During the renovation, the steam radiator and HVAC systems will be altered. Occupants on the second floor may be affected for a portion of the shutdown duration. For questions or concerns please contact CPFM Design and Construction Project Manager Tim Allenbaugh at 541-346-8214. 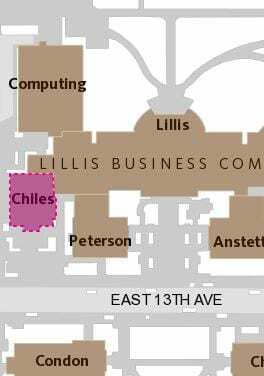 Preferred Construction and their sub-contractors will be doing renovation work in the Chiles 326 computer lab from 12/10 to 1/4. It will involve building three new rooms in the existing space. Work will include demo, framing, drywall, painting, electrical and mechanical work. Users can expect to hear normal and occasional construction noises such as hammering and drilling and may smell at times water-based latex, non-toxic paint. Occupants will see the general contractor and their subs entering/exiting the building with tools and materials during regular business hours. At times users may expect longer wait times at the elevator as items are loaded/unloaded in the elevator during the course of work. No utility disruptions or shutdowns are scheduled at this time. For questions or concerns please contact CPFM Design and Construction Project Manager Theo Davis at 541-346-1012. CPFM Facilities Services, Scofield Electric, and Knight Library personnel will be doing renovation work in the Library Commons area on the main floor from 12/10 to 1/4. It will involve replacing the existing lighting with new units, demoing select built-ins, and replacing furniture. There will also be some drywall work and painting. Users can expect to hear normal and occasional construction noises such as hammering and drilling and may smell at times water-based latex, non-toxic paint. 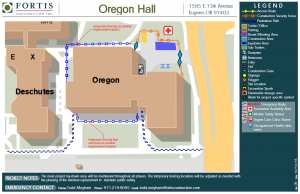 Occupants will see contractor and UO personnel entering/exiting the building with tools and materials during regular business hours. UO night crew tradespersons will also be in the building after hours. No utility disruptions or shutdownsare expected at this time. CPFM Facilities and Rubenstein’s will be doing a remodel of the Planning Office suite on the 2nd floor of the CPFM Administration Building from approximately 10/24 to 12/7. It will involve replacing the old carpet with new carpet, patching and painting the walls and ceiling, minor carpentry and moving furniture. 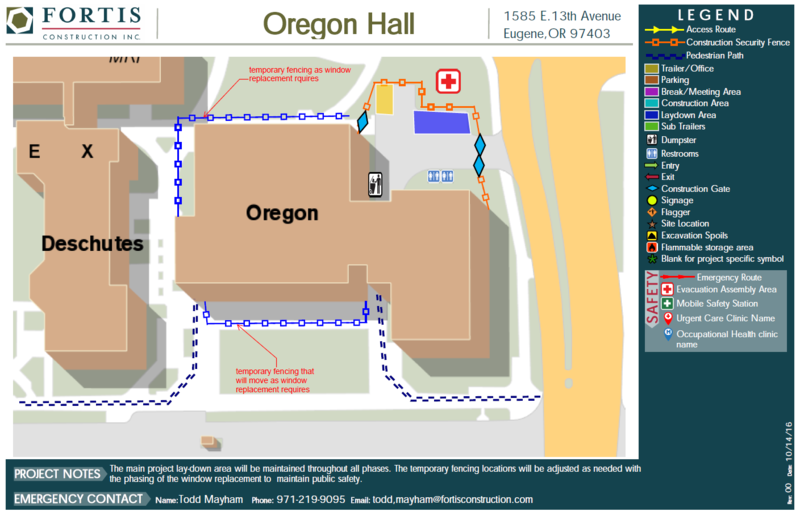 Users can expect to hear normal and occasional construction noises such as hammering and drilling, and see UO personnel entering/exiting the building with tools and materials during regular business hours. No utility disruptions or shutdowns are expected at this time. 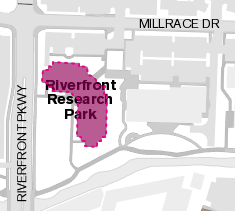 Starting 11/2 the Planning Office will be temporarily located in the CPFM Warehouse/Building 130 room 110. If there are any issues, please contact CPFM Design and Construction Project Manager Theo Davis at 541-346-1012. Preparations for the reconstruction of Hayward Field will be ramping up in the coming days, with crews fencing off the site starting the week of June 19. A small team will begin the inventory process, site preparation and some preliminary salvage work this week, but activity that will affect parking as well as pedestrian and vehicle traffic in the area will commence next week. Read more in Around the O. From June 19, 2018 – September 15, 2018 all traffic access on the service road between LLC and Walton will be closed as part of the Hayward Utility Corridor project. For the remaining occupants in Walton wing Adams sewer reroute work will impact the buildings at times and will be communicated with Housing Staff directly. Utilities have mostly been rerouted in advance to limit impacts during the overall construction dates. Some additional electrical outages will happen during the summer months but will be coordinated in advance and communicated to Housing and Utilities and Energy. 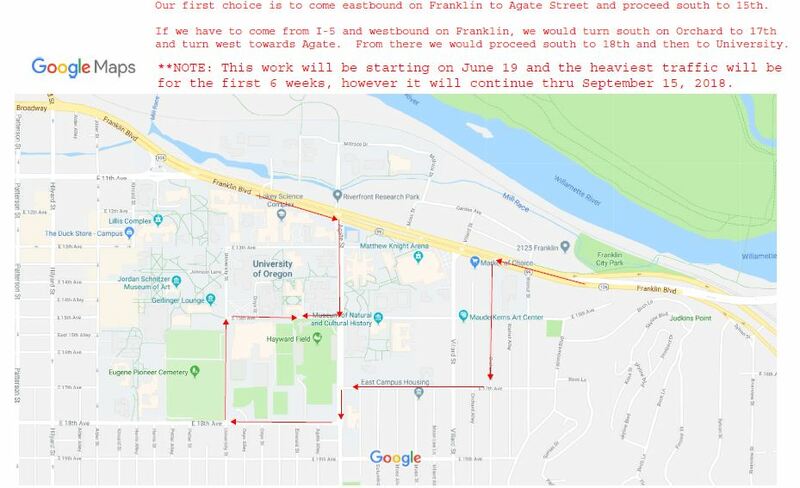 For questions for concerns related to this summer utility project please contact CPFM Design and Construction Jana Gerow at 541-346-8317 or 970-640-0176. 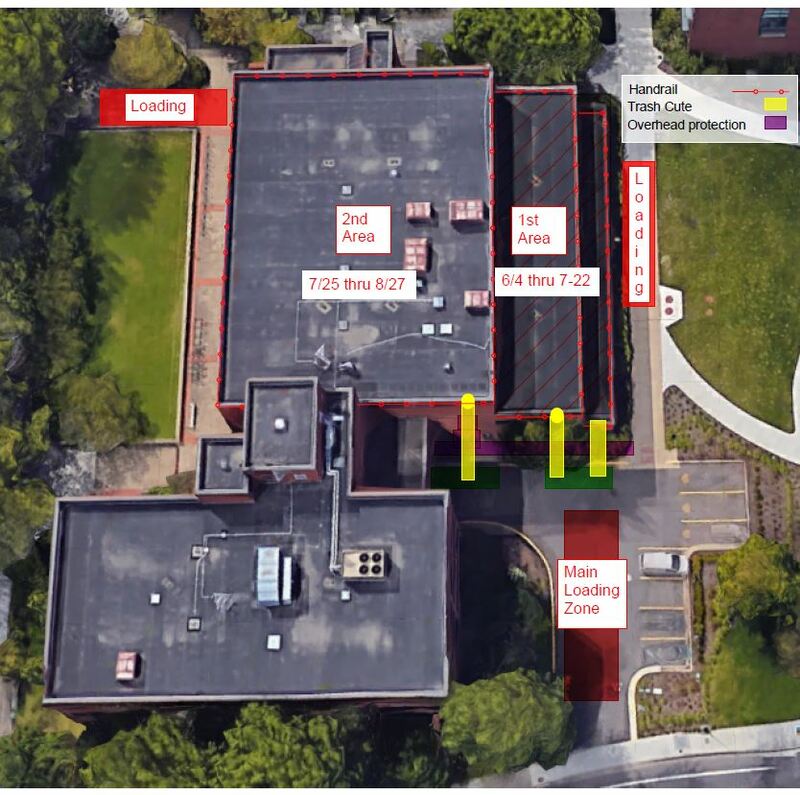 As part of the Oregon Hall Renovations on Monday 6/4 roofing replacement activities will begin over the west wings of the building. The roofing project will replace the roof over 1W, 2W, and 3W. The east wing roof will not be impacted. See attached sketch showing dates for 1W, 2W, and 3W. This project will be completed 8/27/18. As part of the ongoing Pacific B-2 Renovation, contractor Air Inc. will be starting to balance the north wing HVAC system. This will be a process over the summer as we finalize spaces and verify space requirements. This work will not disrupt building systems but will require 2-3 people going into each area to verify HVAC grilles and balance those systems. Some ladder work will be necessary. For questions or concerns, please contact CPFM Design and Construction Project Manager Nick Pritchard 541-346-9139. Future phases will be scheduled in the coming weeks and updates will be provided. Please be advised that there will be construction of a server room on the 4th floor at the 10th and Mill Building beginning Monday, February 12, 2018 through Thursday, March 1, 2018. If you have any questions or concerns, please contact CPFM Real Estate Property Coordinator Melinda Seeley at 541-346-5550. To coordinate Pacific Hall outages related to the Pacific B-2 Renovation Design and Construction project managers Nick Pritchard and Jen Miley have put together a timeline of events starting September 9, 2017, through December 18, 2017. These outages will vary from building wide to only impacting certain rooms. The purpose of this email is to provide an overview and reference. Nick and Jen have been working closely with building users to document lab equipment and how this might impact departments and institutes. Going forward intentions are to provide this overview and continue to communicate building wide outages email notifications for anything that is impacting building wide services. For outages that are localized to individual rooms, the project managers will be communicating directly with occupants. 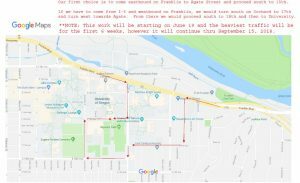 For questions or concerns related to this timeline please contact CPFM Design and Construction Project Managers Nick Pritchard 541-346-9139 or Jen Miley 541-346-1530. Below are reminders of previously scheduled shutdowns and Phase 2 Construction details. Saturday, November 18 7:00 am – 3:30 pm Electrical shutdown to basement electrical gear to provide electrical feed to new roof-top HVAC equipment. These systems will not be in service during the shut-down: Passenger Elevators, Freight Elevator, Building Heating System and Domestic Hot Water. Ongoing – Ending December 22 Daily Construction activities continue on the 1st Floor West. The work is scheduled to be complete 12/22/17. Window and storefront replacement has encountered additional delays from the glass manufacturers. The south storefront is scheduled to be complete the first week of December, we are scheduled to open the covered bike parking by Monday 12/4/17. Please continue to use available bike parking on the west side of the building and adjacent to Deschutes Hall. There will be a series of moves over winter break (12/17/17-1/3/18) to clear areas 2W and 3W for major renovations. Abatement and demolition activities for 2W and 3W are scheduled following the moves. Heating System Update: Hydronic pumps were delivered this week and are being installed. This Saturday (10/21) 7AM-5PM the existing hydronic pipes will need to be flushed and refilled. Workers will be accessing each floor to drain the heating water. Next week, beginning 10/23 we will be circulating hot water to building HVAC equipment. There will be testing, balancing, and adjustments being made all next week to work out any issues. All areas should have heat back on-line by the end of the week (10/27). Chilled Water Infrastructure Update: Chilled water infrastructure is also being replaced within the building but won’t be back online for several weeks. We are using outside air to cool the building and will continue to adjust the amount of outdoor air to provide cooler indoor temperatures in the afternoon. We appreciate your patience as we make these infrastructure improvements to the building. First Floor West Side Update: First Floor west side is still under construction and is using a temporary heating system to provide adequate indoor conditions for the sheetrock, joint compound, painting activities, and millwork. The temporary equipment is situated on the west side of the building. We are coordinating with EH&S to ensure there are no safety concerns with the interim heat. First-Floor Windows and Storefront Replacement Update: First-floor windows and storefront replacement has been delayed due to material delays and unexpected conditions. We hope to have all the window and storefront work complete by 11/17. We will then be able to open up the covered bike parking. 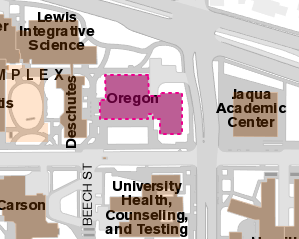 In the meantime, please use available parking on the west side of the building and adjacent to Deschutes Hall. Saturday 10/14, 7AM-Noon; Fortis will be using a crane to lift large mechanical equipment up to the western portions of the roof. We request the west portions of the building (all floors) be unoccupied during this activity (10/14, 7AM-Noon). Please let me know immediately if we need to modify our crane pick around other scheduled activities. Heating and Cooling Systems-As part of the renovations, the project is replacing the hydronic piping for both the heating water systems and chilled water systems. Currently, both the heating and cooling systems are off-line as we replace the aging infrastructure. We are scheduled to have the heating system functioning by Friday 10/20 and the cooling systems functioning by Friday 10/27. Until then, the building will be cool in the morning and heat up during the day since we are circulating a combination of outside air and make-up air. We are monitoring the temperatures and making adjustments to the air flow to try to accommodate the cold mornings and warm afternoons. Construction continues on First Floor West which is scheduled to be complete 12/22/17. We will then have a series of moves over Winter Break to prepare for the next phase of construction. More details to come. Fortis will begin working a night shift and weekends to complete activities that require access into occupied areas of the building. They will also be working on the roof to deliver roof curbs and roof-top equipment. Window and Storefront Replacement continues on 1st Floor West- Currently the crews are working on the west and south sides. When the work is complete on the south, the temporary walls will be removed and access will be available to the covered bike racks. Construction continues on First Floor West which is scheduled to be completed 12/22/17. We will then have a series of moves over Winter Break to prepare for the next phase of construction. More details to come. Fortis will begin working a night shift and weekends to complete activities that require access to occupied areas of the building. They will also be working on the roof to deliver roof curbs and roof-top equipment. Window and Storefront Replacement continues on 1st Floor West- Currently, the crews are working on the west and south sides. When the work is complete on the south, the temporary walls will be removed, and access will be available to the covered bike racks. 10/5 6:00 AM – 7:30 AM Early morning work to deliver curbs to the roof with a crane. The crane will park in the North Construction area and hoist material to the roof over the northwest portions of the roof. We request the northern portions of the 2nd Floor West (under roof) and 3rd Floor West to be unoccupied during this time (10/5, 6:00 AM-7:30 AM). I am coordinating with International Affairs and Enrollment Management. Please let me know immediately if we need to modify our early morning work. Saturday 10/7 Fortis will be cutting sections of the roof to coordinate for the new rooftop equipment. This will impact areas of 3rd Floor West. Saturday 10/14 7:00 AM – Noon Fortis will be using a crane to lift large roof-top equipment. We request the western portions of the building (all floors) be unoccupied during this activity (10/14, 7AM-Noon). Please let me know immediately if we need to modify our crane pick around other scheduled activities. For questions or concerns please contact CPFM Design and Construction Owners Representative Patrick Mucker 541-346-8216 (office) 541-517-2497 (cell). 2. Due to safety concerns, we need to restrict non-essential personnel at the loading dock/ construction staging area. Please refrain from using the north loading dock entrance to enter and leave the building, please use the south main entrance. New signs will be placed restricting traffic through the loading dock (the north building exits will be emergency only). New site fencing will be installed Tuesday 8/29 to restrict access at the loading dock, see attached Loading Dock Fence Plan. 3. 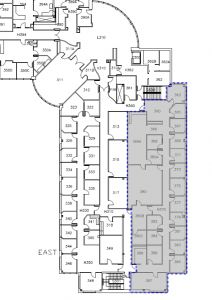 Window/ Storefront replacement on 1st Floor West, south elevation, is scheduled from 8/31-9/24. 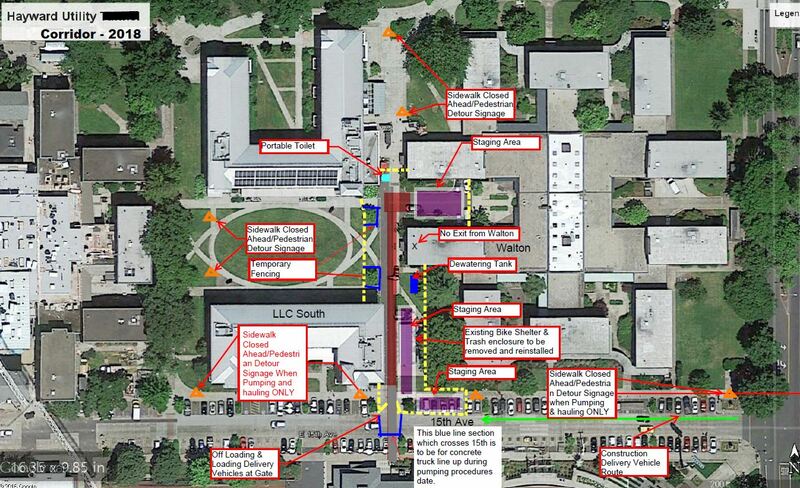 During this time temporary safety and security walls will be built around the covered bike parking (see attached plan). The covered bike parking will not be available from 8/31-9/24. Please use the bike parking adjacent to the raised plaza or along Deschutes Hall. We appreciate your patience during construction activities. 2nd Floor- Workspace 220; We have removed the systems furniture and have abatement activities scheduled for the night of Wednesday 8/9. Work will begin at 6 PM and be complete by 6 AM. The plastic containment area will need to be left in place Thursday during air testing. There will be some after hours duct work Monday-Wednesday to support the work. On Saturday 8/12 Fortis will construct walls for the new mechanical room to isolate construction areas from work areas. All loud activities will be scheduled after-hours. 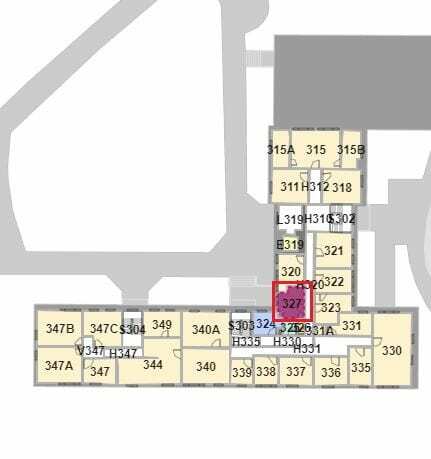 3rd Floor- Office 342 and Women’s Restroom 341; Abatement activities are scheduled in these areas the night of Thursday 8/10. Work will begin at 6 PM and be complete by 6 AM. The plastic containment area will need to be left in place Friday during air testing. The Women’s Restroom will be closed indefinitely beginning at 6 PM Thursday 8/10 since we are installing roof-top equipment above. We will try to re-open the restroom around construction activities. On Saturday 8/19 Fortis will construct walls for the new electrical room to isolate the construction activities from work areas. All loud activities will be scheduled after-hours. Asbestos abatement is completed with a controlled environment. Unaffected surfaces are covered with thick plastic sheeting and thoroughly sealed, any penetrations are sealed, and the work area entry is protected by a two flap air lock. Air is constantly removed from the work area through use of a machine called an air filtration unit (AFU). This machine draws air from the work area, forces it through a series of filters, and then exhausts it to the exterior of the building. The final filter is HEPA, which removes 99.97% of particulate measuring .3 microns and smaller. The work area is under negative pressure, meaning that air can’t escape except through our AFU. You may notice plastic sheeting walls with asbestos signage on them. These are to notify you of a potential hazard inside of the enclosure and are required by OSHA and LRAPA regulations. There also will be a long plastic exhaust duct. This duct carries the filtered exhaust air out of the containment and exhausts it to the building exterior. All of these controls are designed and proven to keep the potential hazard inside of the containment and away from you. If you have any questions or concerns, please contact Environmental Health & Safety at 6-3192. Please contact me or Adam Jones with any questions. We are gearing up for construction activity at Oregon Hall First Floor West (1W). Phase 1 work is renovating First Floor West (1W) and adding roof top mechanical equipment to replace west wing HVAC equipment (Phase 1 & 2). We are scheduled to begin HVAC modifications on 1W (to cap and isolate 1W from the building) the week of 7/24. This will support abatement and demolition activities to 1W scheduled to begin 7/26. 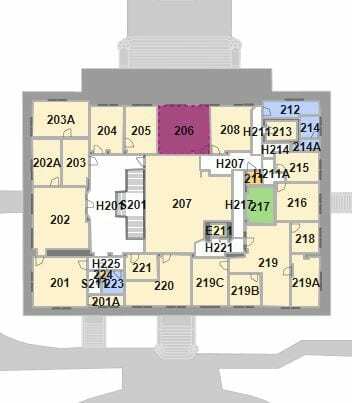 As part of the new HVAC Roof-Top equipment (September Installation) we will be building a new mechanical pump room in 220 (8/7 start) and a new Electrical Room in 342 (8/24 start). Fortis construction will install fencing around the back parking lot on 8/7 (click on image for attached site plan). A dumpster will be placed in the west truck bay for construction, and we will leave the east truck bay open for deliveries. The construction gate will remain open during regular business hours for deliveries. Window Replacement to 1W will begin 9/6. There will be site fencing used during the window replacement. I will provide updates on the construction activities as the project progresses. On June 20, 2017 renovations will begin on Gerlinger Lounge. 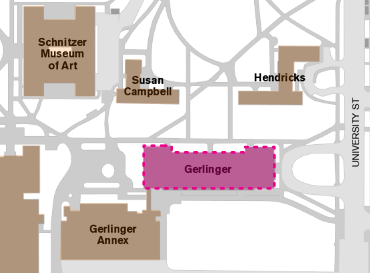 This project includes improvements to Gerlinger East Entrance Lobby (101), Gerlinger Lounge (201), and auxiliary spaces. Classrooms 301, 302, and 303 will be off-line and used to access the ceiling spaces of Gerlinger Lounge located on the floor below. The project will start with moving furniture out of the lounge area and storing off-site. The project should be completed by October 1, 2017. Starting at the end of May, maintenance staff will be painting all hallways and performing work on hallway radiators in PLC. They will begin on the ground/basement level and hope to reach the 3rd floor by the end of summer. You can expect to see painting tarps, ladders, work carts, paint cans, paint trays, etc. Please be mindful of the work spaces as you pass by them. Areas containing wet paint will be posted. You can also expect mild noise as the crews remove and replace radiator covers and possibly drill out stubborn screws. During the week of April 3-7, 2017, work on the 3rd floor renovation at 1600 Millrace will begin. The project is expected to be completed by the end of September 2017. The contractor has been instructed to perform activities that create disruptive noise and/or vibrations after-hours to minimize disturbances. For questions or concerns about this project, contact Colin Brennan, CPFM Design and Construction at 346-8242.